Low-cost enterprise facility optimization analytics deployed over 33 million square feet of commercial facilities in California sponsored by the California Energy Commission (CEC) Public Interest Energy Research (PIER) program is producing results with $3.2 million / 35.5 million kWh in savings validated thus far. Develop, deploy, evaluate, and demonstrate advanced, low-cost, non-invasive, plug-and-play enterprise diagnostics and optimization technologies that can be applied to energy, HVAC, refrigeration, and lighting systems to reduce building operating costs and carbon emissions. Create significant value through the ability to create actionable information. The PIER program awarded funding to a well-rounded team of companies and institutions lead by Ezenics. 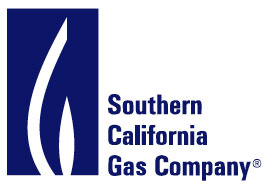 Pacific Gas & Electric Company (PG&E), Southern California Edison, and Southern California Gas Company provide utility support for the project. Industry support is provided from Lennox, Automated Logic Controls, Amazon.com, Microsoft, Accenture, and Target Corporation. The University of Nebraska is an academic partner in the project. Research provides significant evidence that there are many existing problems in commercial buildings that can be solved more efficiently and inexpensively through proactive maintenance strategies by ensuring that existing equipment and controls are working as intended rather than through reactive maintenance strategies, which only respond to equipment failures and ultimately result in large capital expenditures. The New Building Institute (NBI) 2004 report, “Review of Recent Commercial Rooftop Unit Field Studies in the Pacific Northwest and California” is one example. It is not uncommon to hear that facilities with award-winning, "energy-efficient" design and construction are often later found to be operationally inefficient. On-site commissioning has been proven to show success in identifying such operational problems and has gained some momentum with support from utilities and the industry. Opportunities for improvement surrounding traditional commissioning are that it often involves costly, on-site analysis that must be done once per year and additional ongoing work is required to ensure persistence, which can impact the return on investment. Furthermore, research supported by ASHRAE, the DOE, and the CEC provides solid evidence that automated fault detection and diagnostics (AFDD) can generate significant financial and energy savings. The technology has also matured to the point that is now incorporated into the State of California Title 24 building code, in part due to the work of PIER-supported projects led by the University of California, Davis-based Western Cooling Efficiency Center. The article, "Detecting and Diagnosing the Faults of FDD", written by Lee Hamilton from Esource provides an excellent summary of AFDD solutions and articulates that opportunities for improvement exist because many existing AFDD solutions have either been too broad, looking at only the energy data for a wide variety of systems, or too narrow, focusing only on a single system or machine. Optimal AFDD solutions must be able to analyze and compare a wide variety of data over a wide variety of systems. 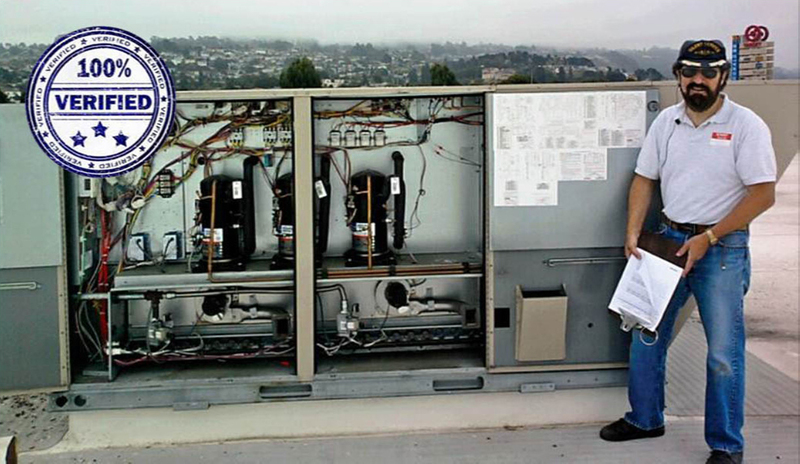 HVAC and Refrigeration systems, for example, are often separate from one another, but these systems have an enormous effect on one another within a facility, and an ideal AFDD system would be able to utilize a broad spectrum of data from both and examine interactions between them in order to properly diagnose the issues. Some existing AFDD solutions are also embedded into hardware, which requires clients to purchase additional physical devices and sensors to obtain data or for providers to physically visit each site, thus making the technology too difficult and costly to scale for the benefits received. The CEC PIER-sponsored Plug-n-Play Diagnostics & Optimization for Smart Buildings project aims to prove that low-cost, rapidly deployable multi-system AFDD technology can more effectively scale the benefits of commissioning and fault detection and diagnostics. Scalable, quick deployment of AFDD analytics will lead to faster adoption of the technology, enabling substantial reduction in carbon emissions and energy consumption and resulting in significant realized financial savings. Several key features of the Ezenics-led solution were identified to make the technology scalable with minimized up-front and ongoing costs. First, with the Ezenics solution being hosted in the cloud and accessible via web browser, clients are not required to install any new software. Because of this, no additional hardware needs to be installed on-site; there is no need for site visits to set up the solution; and results can be securely obtained from existing sensors, equipment, and systems over Ethernet through HTTPS-secured connections. Many issues can even be fixed remotely, and the system also provides valuable information directly to on-site technicians, enabling them to complete maintenance and resolve issues quickly. The Ezenics solution decreases capital expenses and is flexible enough to optimize existing infrastructure. The Ezenics solution is built to be "interoperable," meaning that there is a common user experience regardless of underlying equipment or systems, which enables quick user adoption across a diverse portfolio of locations. Additional internal and external data sources such as alarms, work orders, weather data, energy rates, and demand response event information can be integrated into Ezenics' multi-system analytics. Results from the solution, including the diagnosis, normalized severity ranking, duration, quantity of occurrences, and financial impact are pre-filtered and prioritized based on clients' business rules. The business rules are driven by setting thresholds for comfort and energy efficiency, ensuring that the system will trigger only relevant, actionable results, effectively avoiding an overload of information. The solution triages information on facility faults and exceptions and can automatically generate work orders based on priorities instead of overwhelming facility management staff, ensuring rapid adoption and maximized savings. The Data Exchange Carrier was developed on a scalable, cloud-based infrastructure and can establish connectivity with an unlimited number of building automation systems and equipment in order to obtain, aggregate, store, share, and process data at near-zero cost. This is commonly referred to as the ability to deal with "Big Data." One of the project objectives is to produce valuable analytics from data obtained from existing systems already in commercial buildings. Due to this need, five low-cost, high-accuracy virtual data points or "virtual sensors" were deployed. These virtual sensors were utilized to expand the onboard measurements and enable both existing and new diagnostics and optimization technologies. The diagnostics and optimization technologies deployed in this project address the interactions among different systems of the same type and different types of systems such as HVAC, lighting, refrigeration, energy, weather, and rate structure data. The Ezenics enterprise-level, plug-n-play diagnostics and optimization solution integrates existing and new technologies in order to enable smart buildings and can be deployed in a non-invasive and low-cost manner. For this project, the solution was deployed, tuned, and evaluated in 252 retail locations throughout California. The solution was rapidly deployed and evaluated in 252 geographically diverse retail locations in California, covering over 33,000,000 square feet in multiple utility zones. Through various methods, 16,480 pieces of equipment and systems (an average of 65 per facility) have been connected without visiting the site or requiring additional hardware. Of the 16,480 pieces of equipment, 5,845 were categorized as HVAC machines, 4,742 were refrigeration components, and the remaining one-third of the devices consisted of lighting, sub-meters, utility data, and other miscellaneous systems. The Data Exchange Carrier communicates with and pulls data points at near real-time frequencies from all units (400,000 data points every minute) and stores it forever. Over the course of a month, 19 trillion data points are collected from these 252 sites, which equates to roughly 1.8 GB per day. Faults from the AFDD are thoroughly validated and confirmed by certified contractors on-site. These certified contractors implement fixes to confirm that the faults identified by the solution were solved. 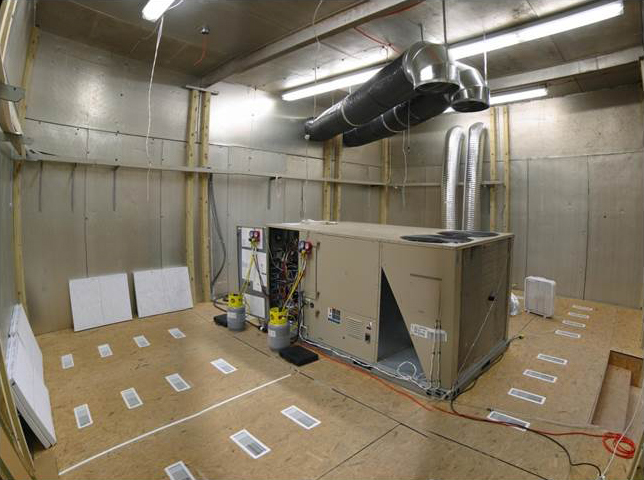 In addition to verifying faults at the site through a certified contractor, a large dual-climatic chamber laboratory was built specifically for AFDD validation and is utilized to test, tune, and confirm faults and severity levels. The results of the project validate that the solution detects faults and generates appropriate solutions with nearly 100% accuracy. Validated savings for the 252 locations in California over the last twelve months is a reduction of over 35.5 million kilowatt hours of energy usage, equating to $3.2 million in savings. A breakdown of the faults reveals that approximately $1.6 million of the $3.2 million saved (approximately half the total savings) was saved from approximately 12,000 HVAC mechanical issues. The remaining savings was generated by 9,000 HVAC control faults ($912,000), 300 lighting faults ($574,000), and 3,000 refrigeration faults that prevented food quality issues (de-merchandizing events) in addition to energy savings of $82,000. AFDD results have also been found to provide value through cross-platform coordination with demand management strategies. AFDD enables dynamic control strategies, which enhance the success of demand response and peak load reduction systems while ensuring that such strategies do not impact comfort to an unacceptable degree. The project has already inspired implementations in office buildings, data centers, hospitals, and additional retail locations across the country that accounted for over $18.5 million in energy efficiency savings within the first half of 2013. Copyright © 2013 Ezenics, Inc.